This student submission comes from my former student Deetria Bowser. Her topic, from Geometry: the area of a circle. An example of a helpful and engaging website for students is aaamath.com. On the left side of the webpage, there are a list of subjects. 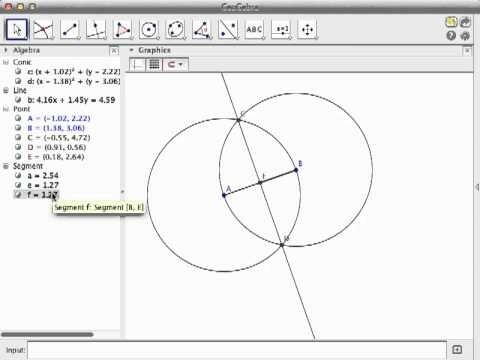 To find the Area of a circle lesson, select geometry and then area of a circle. The lesson is color coded with green being the “learn” part of the lesson, and blue being the “practice.”In the “learn” part of the lesson it explains briefly how to find the area of a circle. While I believe that and actually lesson should be taught before using this website, I think that the “learn” part provided by this lesson would be a great way to quickly review how to find the area of a circle. The next section (“practice”) gives a radius and the student is expected to calculate the area of the circle using said radius. I think this aspect of the lesson will help students gain speed and accuracy in computing the area of a circle. Although I do not think that this website can be used as a complete lesson on finding the area of a circle, on its own, I do believe that it could serve as a great review tool for students. swimming pool that has walls made of aluminum. Find the length of aluminum surrounding the pool as shown if the radius is 15 feet. Round to the nearest tenth” (Glencoe). This example is practical because when constructing a pool, one needs to know the surface area which can be found by using . The final example states “A rug is made up of a quadrant and two semicircles. Find the area of the rug. Use 3.14 for and round to the nearest tenth!” (Glencoe). Although this seems less practical than the pool example, it is still related to real life because finding the area of a rug will help when deciding which rug to choose for a room. This student submission again comes from my former student Deanna Cravens. Her topic, from Geometry: finding the area of a right triangle. One of the most common questions students ask when working with the area of a triangle is: “Why do I multiply by ½ in the formula?” It is a rather simple explanation for working with right triangles. Students could either do an explore activity where they discover the formula for the area of a right triangle, or a teacher could show this short two minute video in class. So why do we multiply by ½? If we look at the formula ignoring the ½, you will see that it is the same formula for the area of a rectangle. Each angle in a rectangle forms 90 degrees and if we cut the rectangle along one of the diagonals, we will see that it creates a right triangle. Not only that, but it is exactly one half of the area of the rectangle since it was cut along the diagonal. Another way of showing this is doing the opposite by taking two congruent right triangles and rearranging them to create a rectangle. Either way shows how the ½ in the formula for the area of a right triangle appears and would be a great conceptual explore for students to complete. Students are first introduced to finding the area of right triangle in their sixth grade mathematics class. One way that the topic is advanced in a high school geometry class is by throwing the Pythagorean Theorem into the mix. Students will know that formula for the area of a right triangle is A=½ bh. The way the topic is advanced is by giving the students the length of the hypotenuse and either the length of the base or the height, but not both. Students must use a^2 +b^2=c^2 in order to solve for the missing side length. The side lengths will not always be an integer, so students should be comfortable with working with square roots. Once students utilize the Pythagorean Theorem, they can then continue to solve for the area of the right triangle as they previously learned in sixth grade. In this short music video young students at Builth Wells High School did a parody of Meghan Trainor’s “All About that Bass.” They take the chorus and put the lyrics in “multiply the base, by the height, then half it.” This music video can help several different types of learners in the classroom. Some need a visual aid which is done by specific dance movements by the students in the video. Others will remember it by having the catchy chorus stuck in their head. The parody lyrics are also put on the video to help students who might struggle with English, such as ELL students. Plus, it is a good visual cue to have the lyrics on the screen so it makes it easier to learn. No doubt with this catchy song, students will leave the classroom humming the song to themselves and have connected it to finding the area of a triangle. This student submission again comes from my former student Danielle Pope. Her topic, from Geometry: deriving the term midpoint. Introducing the definition of a midpoint in the classroom will take using class time to let students explore for themselves. The activity that I would make my students do is have the entire class stand up and have 2 students stand at opposite sides of the room. I would then ask my students to line up shoulder to shoulder. Once they were in a straight line I would ask “who is perfectly in the middle of this line?” This is where I would give my students 10 minutes initially to come up with various ways of how they would prove a student was in the middle of the line. Various “proofs” that they could tell me would be that there is exactly the same number of people on each side of the middle person. If that answer was given I would make an odd number of students stand in line and ask the same question of “Who is in the middle”? They would have to reconsider this answer because they couldn’t cut the student in half but I would hope that they would come to the conclusion that they would have to half the person in order to find the perfect center. Another “proof” that they may give me is measuring the distance from one end to the other and half that distance to find the person in the middle. This can also start that same conversation of how we would find the exact “midpoint” without cutting the person into pieces. To get just a basic definition of the midpoint, we can look at the lingo used in all sporting events. All sports have some form of a season that lasts for a certain amount of time. For this example specifically, I will be looking at the football season. Towards the middle of the season teams will know what to expect by the end. Most of the stats and predictions for teams are made already by the middle or midpoint of a season. In this article about football it relates to what changes various teams needed to make by the middle of their season. Just in the article itself, it says that “we’re now at the midpoint of the NFL season, and while some things are beginning to take shape, there’s still plenty of football left to be played.” In this context, students can understand that midpoint is being used to describe the middle of a football season. With this knowledge, they can use those context clues and just add the numbers given to them. One of the most important people in mathematics to date would have to be Euclid. Euclid’s book, The Elements, is still the backbone of all mathematics taught from kindergarten to college. One artist took this book or manual to mathematics and put it in the form of artwork. Crockett Johnson is an artist who bases his work off of mathematics. He takes the complicated proofs, lemmas, and theorem that have been proved and puts those in a form that we see as beautiful. One piece that uses mostly all midpoints titled “Bouquet of Triangle Theorems”. This piece is based off of the many of Euclid’s propositions about triangle just used together in one piece of art. For example “the midpoints of the sides of the large triangle in the painting are joined to form a smaller one.” Giving students a copy of this picture they can find various characteristics given a ruler and other tools that can help them possibly come to this conclusion that Euclid already proved. Crockett’s pieces can also be seen at the Smithsonian so that could show kids that math really does show up everywhere in our world even in unexpected places. This student submission again comes from my former student Caroline Wick. Her topic, from Geometry: defining the term segment bisector. A segment bisector is a point, segment, line, or plane that divides a line segment into two equal parts, according to the math dictionary “intermath” (A1). This geometric term has been used throughout history to create art, even before the term was eloquently defined. The people of ancient Greece would use all sorts of geometric ideas to build their vast architectural structures and sculptures, and almost all of these structures would require segment bisectors. 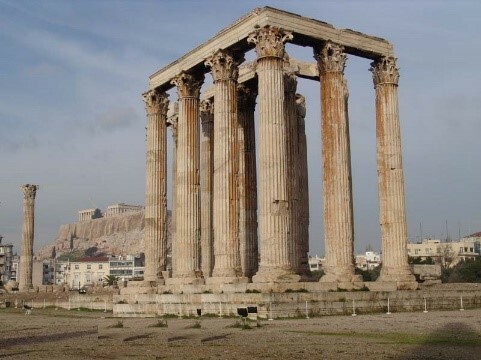 According to the Metropolitan Museum of Art page on Greek Architecture, “the vertical structure of [their] temple conformed to an order, a fixed arrangement of forms unified by principles of symmetry and harmony” (A2). The Ancient Greeks prided themselves on their beautiful structures that were pleasing to the eyes because of their symmetry and balance. Take this picture above, for instance. The columns on the right are perfectly symmetrical to the top beam, and the middle column perfectly divides the top beam. It would be considered a Segment bisector. Other examples of segment bisectors in high art can be seen in renowned artists work like Picasso who used geometry to paint/express the world in a way that one might not normally see, and other painters have used this geometrical interpretation in their works as well. A. Applications: How could you as a teacher create an activity or project that involves your topic? Segment bisectors could be used in a number of projects or activities. One activity could be showing the use of segment bisectors in origami, or the art of paper folding. 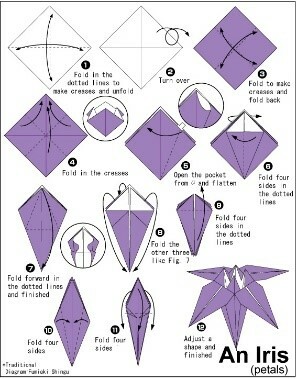 Origami requires multiple strategic folds of paper that must be perfect if the shape is to come to fruition. One often has to fold the paper in half perfectly many times, which is the definition of a segment bisector. Students could learn how to use geometric concepts in a concrete and fun way that is applicable in the real world. The picture above shows just how much segment bisectors are used in the art of paper folding. Another project could be using the information above on ancient Greek architecture to create their own little architectural temples or structures. The students would use basic materials found around the house, and their knowledge of geometric definitions to create these structures. Not only would this project apply to geometry, but it would also help students see how geometry plays a role in architecture; another real-world application of school knowledge. Segment bisectors do not really sound like the most exciting topic for students to cover. Sure, they can be used in a lot of different applications, but when a student hears that they will be working with the definition of a segment bisector, they likely will not get terribly enthusiastic. However, if students learn these ancient concepts in the context of new technology, it might stick in their brains as a more interesting topic. Geogebra is a website that allows you to construct geometrical shapes and objects as if you were using a ruler and compass. Students could very easily spend hours on the site just finding different ways to construct a geometric shape. They could use the site to create and define multiple geometric concepts, including segment bisectors, so that they discover the words’ meanings for themselves. The picture above was taken from a youtube video that shows you how to construct perpendicular segment bisectors using a ruler and compass. And though it may seem like it a more advanced subject, students will be able to see the reasoning behind the definition, and might be able to use this website and knowledge for later geometric use. This student submission comes from my former student Brittnee Lein. Her topic, from Geometry: perimeters of polygons. Finding the perimeter of a polygon has been a necessity since the implementation of architecture and engineering in society. Every advanced society has used this topic to their benefit. For example, if a person wanted to build a fence around their rectangular garden, but wanted to use the least amount of building materials possible, they could find the perimeter around the garden and then calculate how many planks of wood they would need to use before buying that wood. This is a much more effective method than buying the wood and then finding out how much one would need to use. 2. What interesting (i.e., uncontrived) word problems using this topic can your students do now? 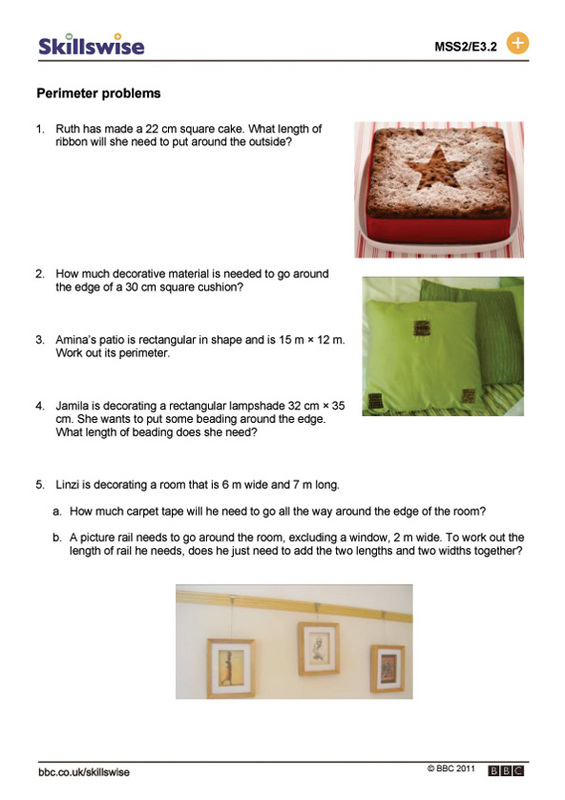 Problem 1 is good for enforcing student understanding because it challenges them to think more abstractly than if the problem were merely stated as “what is the perimeter of the cake?”. This problem tests student understanding of both the meaning of a square and the meaning of perimeter. Problem 5 is beneficial to students because it includes both a closed and an open question. The closed question allows students to practice what they have learned about finding the perimeter of a polygon and the open-ended question is worded in a way that challenges the student’s conceptual understanding. The student must not only compute the perimeter but also must explain his/her thinking. This problem also forces students to visualize the problem in their head. 3. How could you as a teacher create an activity or project that involves your topic? An engaging activity that a teacher could create to reinforce the topic of finding the perimeter of a polygon is a game where students set out to stop a criminal from entering an a given area/robbing a bank. The students would have to find the perimeter of a building from a simple blueprint mapping the building’s structure (in this case it would just be the outline of the shape of the building with given dimensions). The student would be informed of how much area each officer can cover and they would then be expected to “secure the perimeter” by allotting a certain amount of police officers to the building and placing them along the perimeter (denoted by a given symbol). To ramp up the difficulty of the game, you could set a time limit for each building and have students compete against the clock to stop the robber and you could also increase the variety of officers in the game where each type has a specialty and can cover a different amount of area. “Secure the Perimeter! Cover the Area! Hands-on ‘Police Trainee’ Activity.” Teachers Pay Teachers, http://www.teacherspayteachers.com/Product/Secure-the-Perimeter-Cover-the-Area-Hands-on-police-trainee-activity-2770696. Perimeter Problems.” BBC News, BBC, http://www.bbc.co.uk/skillswise/worksheet/ma31peri-e3-w-perimeter-problems. This matches the chorus of this song by Hunter Hayes.